When we grow up we all have that celebrity of our dreams, mine was the one who made me chuckle. Because then I did not have a hint on how to pick a role model, well, just because people on telly were dreams away – so what’s the use of dreaming about artificial people? I was not bare to the media to such an extent that I did not know anything bad they did in their private lives or rather bad publicity. Tat’ u-Ray Ntlokwana, an award winning actor who was affectionately known as “Velaphi,” he was my role model, he passed away in his hometown on Thursday, July 20, 2000. It happened that he visited our school for a play just before he passed on with Vuyisile Bojana to name. So my dream of meeting him was granted – though sometimes it seems impossible to meet the people on that small box, imagine, if my mother never stole me from the rural areas of Alice (Eastern Cape), would not have gotten the chance to catch a glimpse of Velaphi. 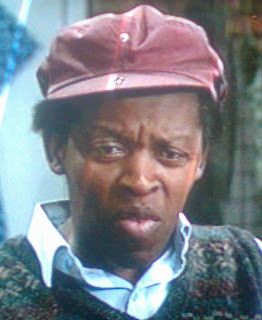 In the present day we don’t have characters like him, people who brought entertainment back to the people of South Africa. He distinguished himself with attentiveness to create a well-known personality, I assume actors were not paid much then but still he showed passion for his craft and respect for those who admired it. 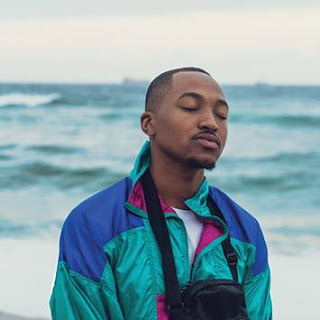 It saddened me to hear the alleged news that he died broke – some churches around Gugulethu helped towards any funeral arrangements, then again these things are unavoidable to happen, especially with artists with no clue about turning their craft into businesses. The then Minister of Arts, Culture, Science and Technology, DR. Ben Ngubane, issued a statement, "It is indeed an indictment of the iniquities prevalent in the commercial arts environment in this country that he died penniless. This should not have happened and government - through the departments of Arts, Culture, Science and Technology (DACST), Trade and Industry and Labour - is addressing this problem," he said. It would be pleasant for our government to help those we look up to, get them to give industry experience to the public domain. I am sure the above will help reduce people having multiple babies just for the sake of the state-grant. It will also be advisable to the people on the ground that public and on screen behavior differs, so celebrities should be given the required respect and treatment. Celebrities too should behave in public spaces – knowing that you have children so vulnerable that are looking-up to you.